How to Get a Quick Divorce in Michigan? Getting a quick divorce in Michigan is possible. However, it isn’t very straightforward and often you’ll need to seek legal counsel if you want to take advantage of a speedy divorce. In this article, we’re going to cover the steps you need to follow if you want to file for divorce in Michigan, as well as what you can do to speed up the divorce process. Determine if you can file for divorce. To file for divorce in Michigan either you or your spouse has to have lived in Michigan for the last six months, at least. You’ll need to reach an agreement with your spouse as soon as possible, and this includes some issues including property, debt, child custody, alimony and more. Find the proper court to file paperwork. You’ll want to file your divorce in the same county that either you or your spouse has resided in for the past six months. Fill out the correct forms. If you end up working with an attorney, they’ll be able to point you in the right direction. However, if you don’t hire an attorney, use the forms that are provided by Michigan Legal Help. Also, ensure to get the forms notarized, if need be, and even print out multiple copies. File your forms with the court. Once the forms completed, you’ll need to file them with the clerk's office, and pay the filing fee. There are multiple ways to serve your spouse; you must do this within 91 days of your initial filing. You can either have personal service by a police officer, a professional process server, a friend or relative or even use the mail. If you and your spouse haven’t been able to agree on all of the issues, then the court will decide who gets what. At times this can take up to 30 days. Once the final hearing has occurred, or the waiting period has passed then you’ll file your final documents with the courts, and your divorce will be final. You may be able to speed up the process of divorce, depending upon your circumstances. How can I speed up the process of divorce? Although there’s a statutory waiting period for divorce, there is potential to get that waiting period waived. However, not all judges will be happy with waiving the waiting period. If you want to increase the speed at which your divorce is processed then working with a lawyer is a great idea. The lawyer will be able to work with the judge and craft an accommodation for your unique situation. We hope this article has been valuable and you have a greater understanding of what you need to do to file for divorce and file fast. 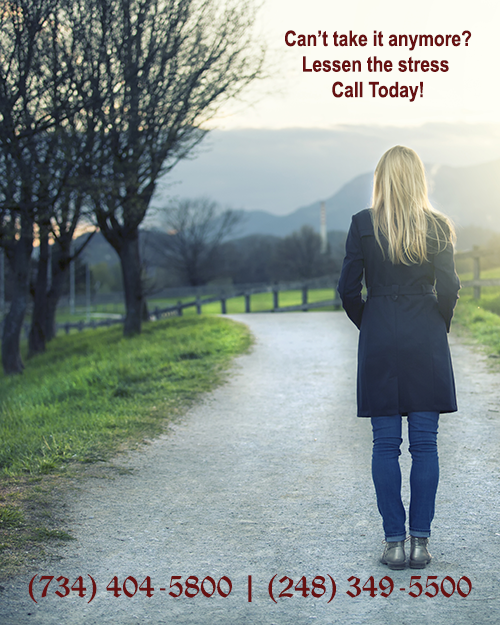 Often, we think that divorce is something we can handle on our own, however, having a lawyer by your side can help the process go more smoothly and reduce the already high burden of stress.